Bluewater Seafood Market is one of the most popular local seafood providers on the Outer Banks. In the ever-expanding world of digital media, they needed to upgrade to their online presence. Bluewater wanted to establish their offerings clearly online, but did not want online transactions. 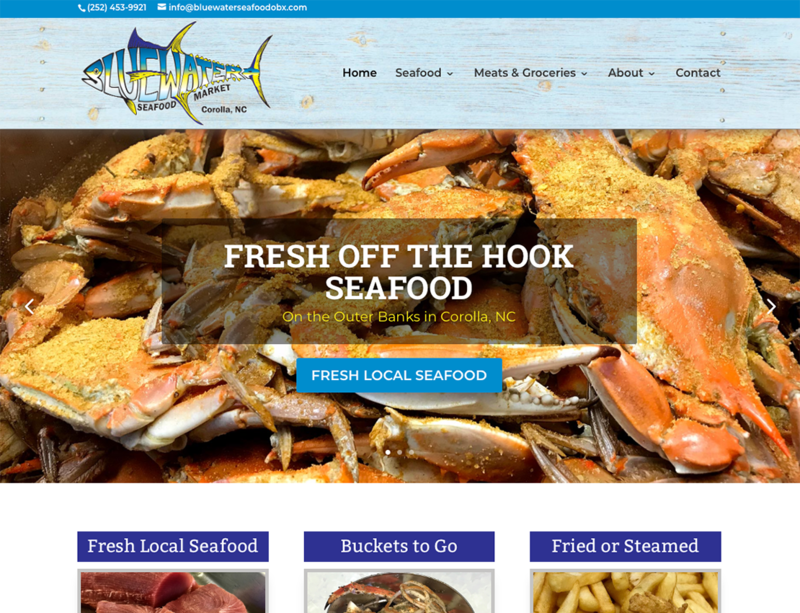 Outer Banks Internet designed and created a simple yet beautiful website showcasing the variety of seafood, meat, groceries and more that Bluewater Seafood Market carries. The site is simple to manage and easy to browse as a customer.